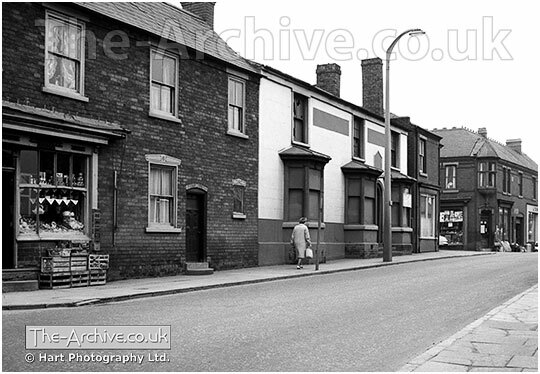 A photo of Wassell’s Greengrocery Store, Royal Oak Public House, Bill’s Bakehouse & H. Case’s Ironmongery Shop. Upper High Street, Lye, Stourbridge. Photographed by multi award winning photographer William R. Hart ABIPP. AMPA. ARPS.